Another week gone as the year appears to be flying by, Trinity term is just around the corner for us and another BUCS event has gone! Plenty of our members have been out enjoying the better weather with lots of riding. After the great efforts at the BUCS 10m championships over the weekend there were plenty of strong legs around. 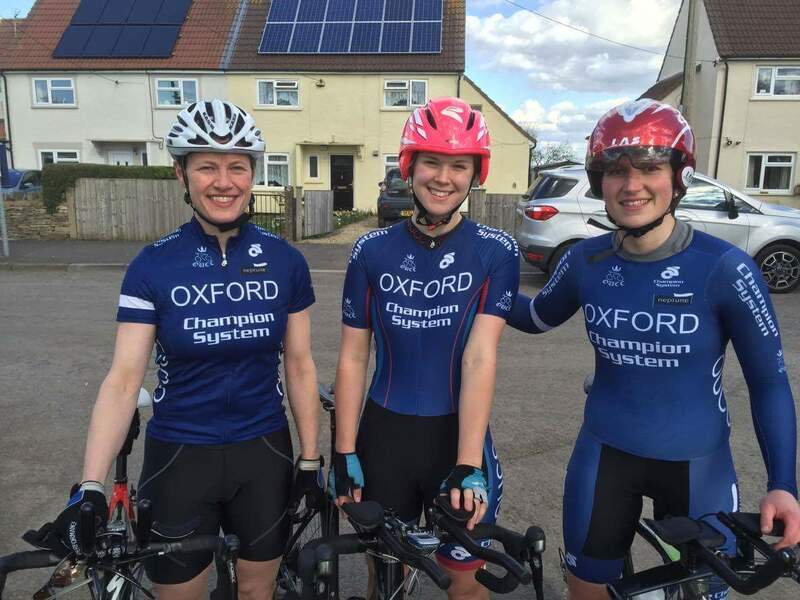 The local Tuesday night Chaingang loop is hotting up and becoming the Oxford World Championships very quickly, selection for BUCS road race may very well happen here, watch this space. 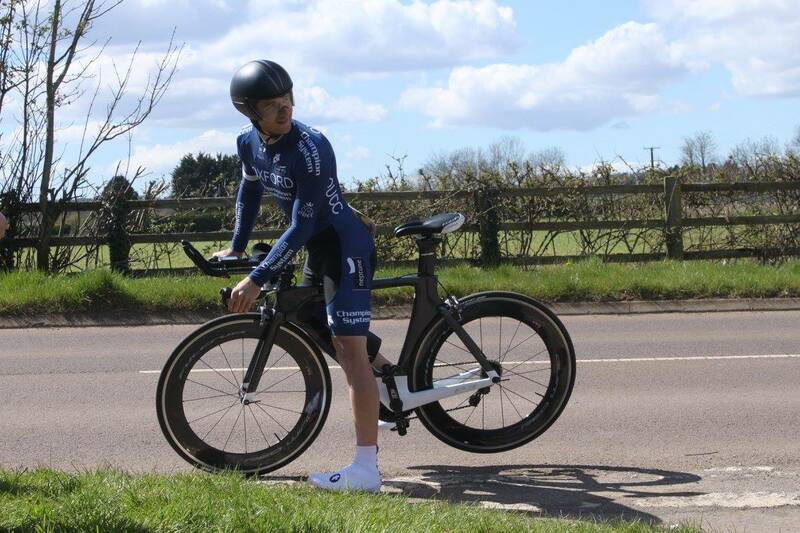 Happier to ride as a loner by himself, Angus Fisk headed off to Weston on the green for a 10 mile time trial, and was rewarded with third place and a new PB of 22.32. 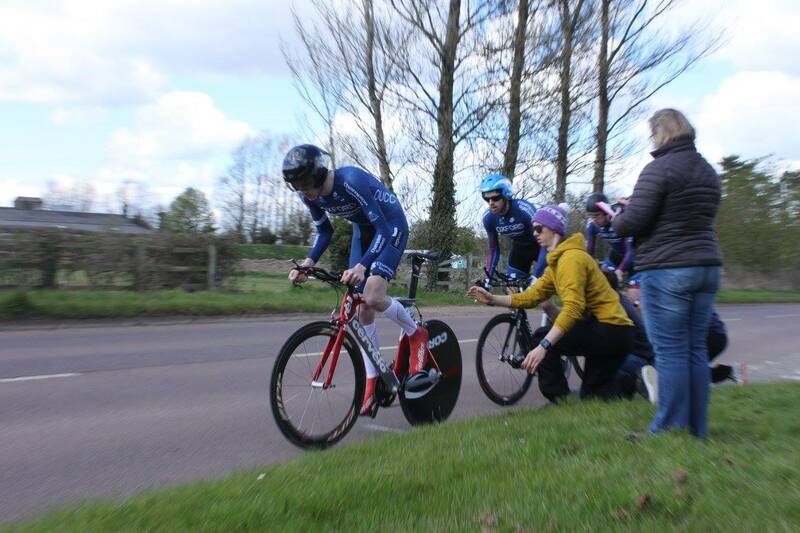 On the other side of the Country, on Wednesday James Lambton lined up at a Newmarket 9 mile time trial to get some final prep in before the other BUCS time trials in the next few weeks. He came away with a solid 4th place too. 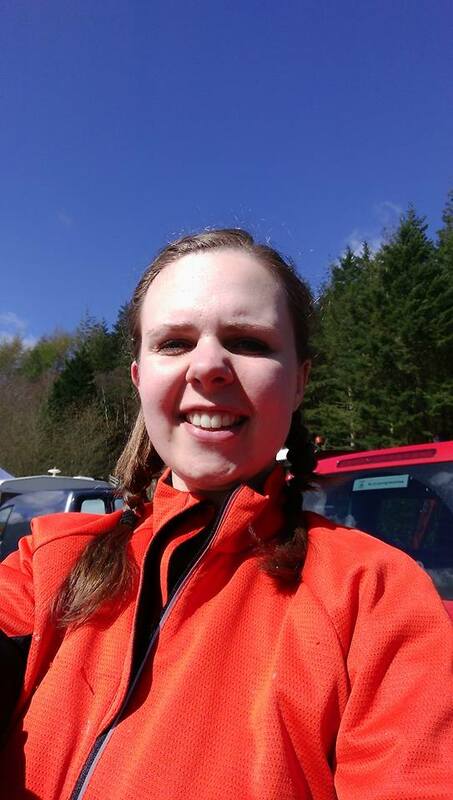 It was a very proud weekend for the club as well, as we had Steph Campbell heading off to BUCS Downhill MTB racing, showing sheâ€™s the bravest rider in the club! 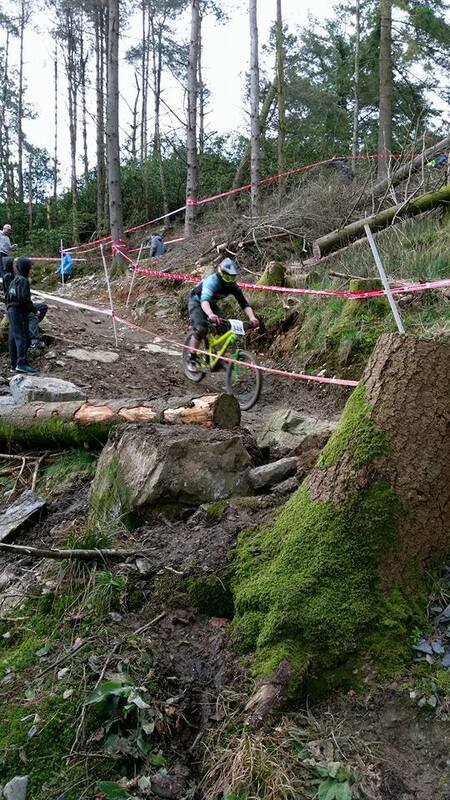 This is the first time weâ€™ve sent anyone to Downhill MTB BUCS for a number of years so we were excited to hear how she went! After a great weekend of practice, and a blistering qualifying lap to be sitting around the top 10, all the hard work came unstuck as Steph crashed out on the final run of the day! She came out unscathed thankfully. Congratulations to Steph for putting in such a good performance! Pity it came apart at the end. 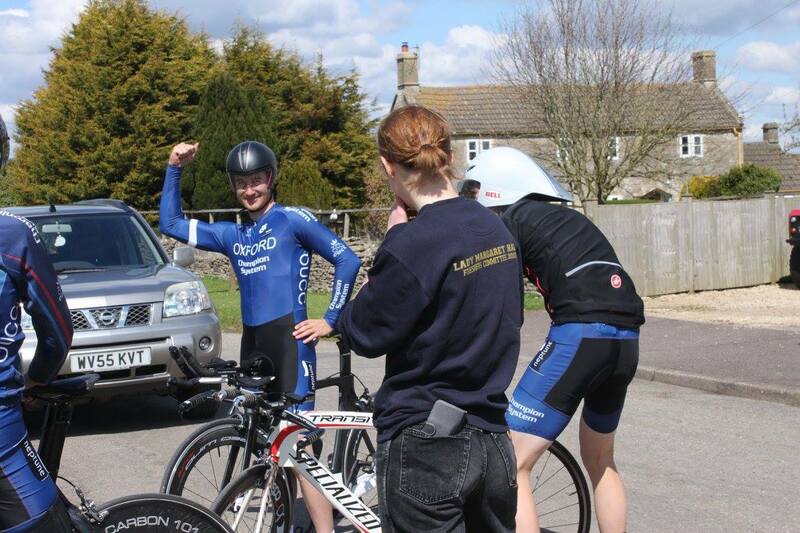 The big event of the weekend for the road squad was the BUCS 3-up Team Time Trial held outside Bath on Sunday. 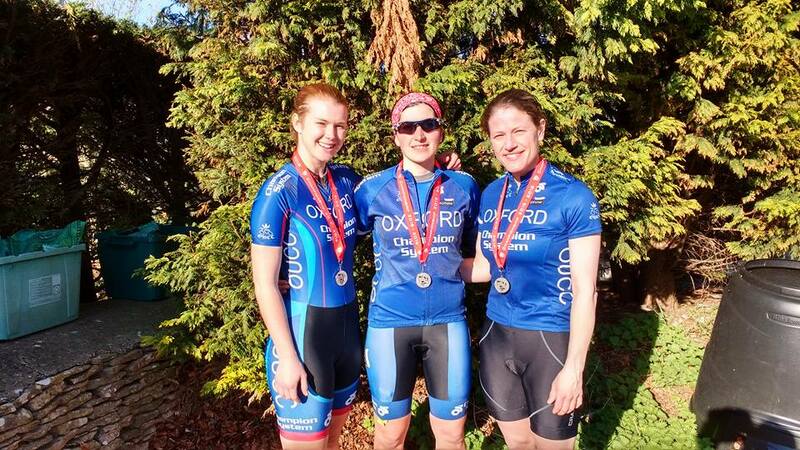 Our womenâ€™s team were heading in as defending champions, and the mens quietly hoping for some much improved times from last year after a few months of dedicated training. 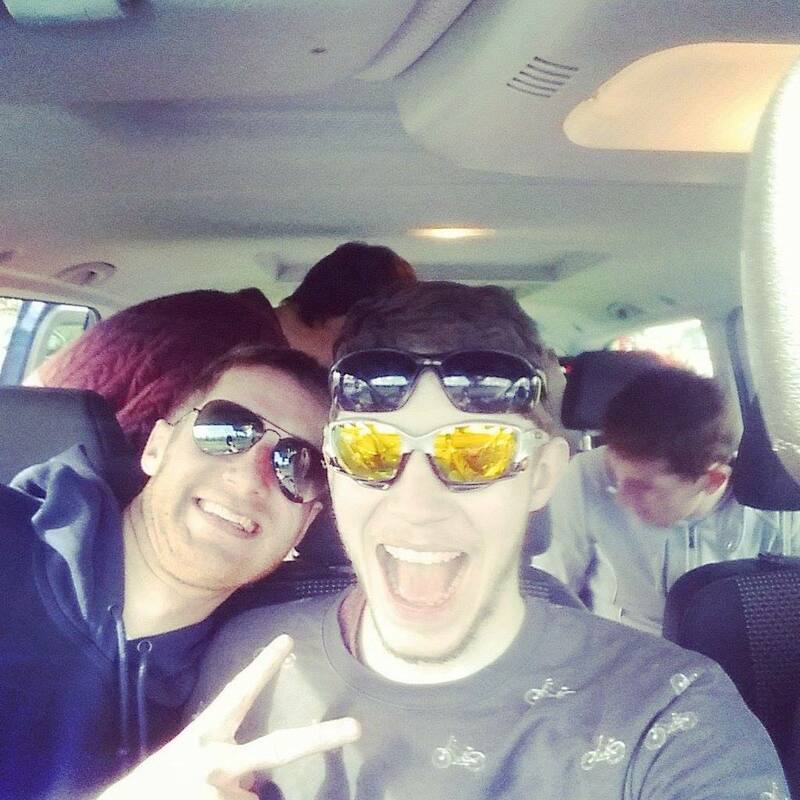 We showed up at the HQ in good spirits with the sun shining and smiles all round. 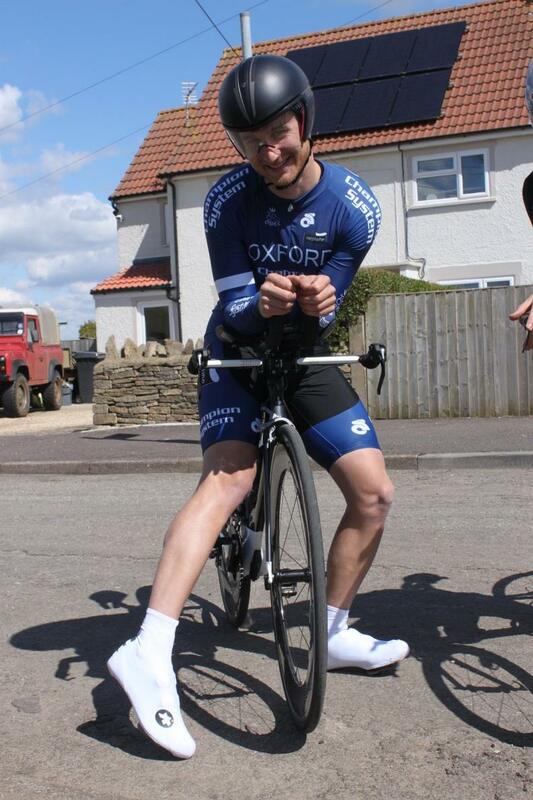 A quick recce of the course paid off by showing just how hilly the course actually is, and giving us an advanced view of both the potholes and the suffering that was to come. Then things started to go wrong. 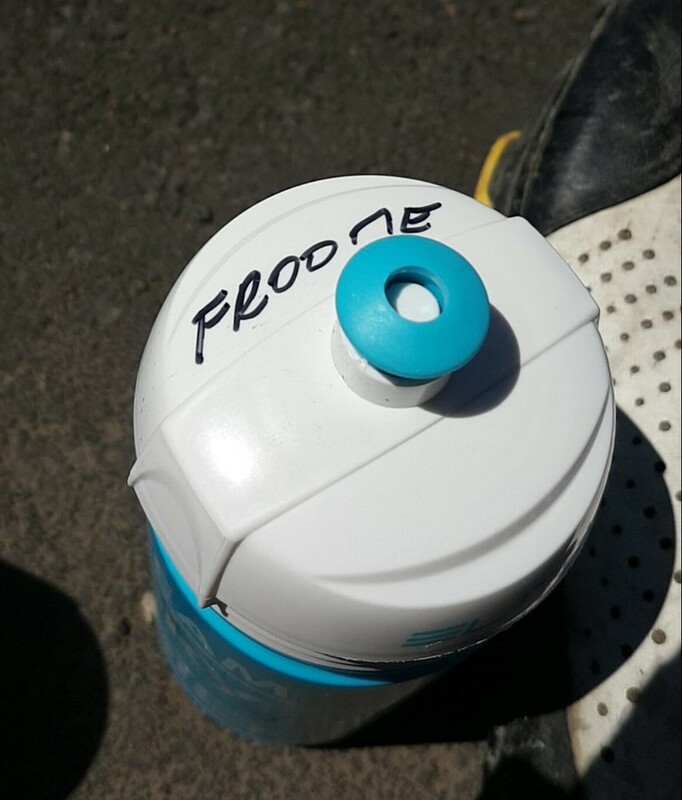 James Lambton had a flat tyre on his disc wheel, then his power meter ran out of battery, then Daniel Alanineâ€™s power meter also stopped working. 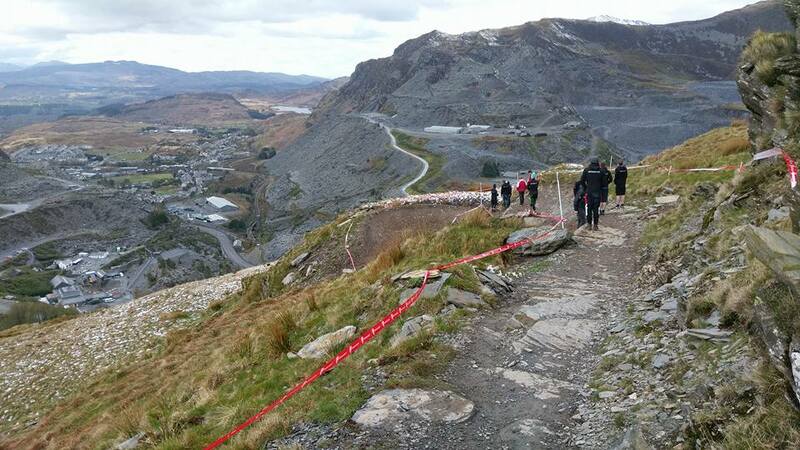 During the race the bad luck continued, with James hurting on the early hills and hanging on from there, Dan somehow taking a wrong turn despite a recce a few hours earlier, and Bryn Davies having to pull over to fix a dropped chain. 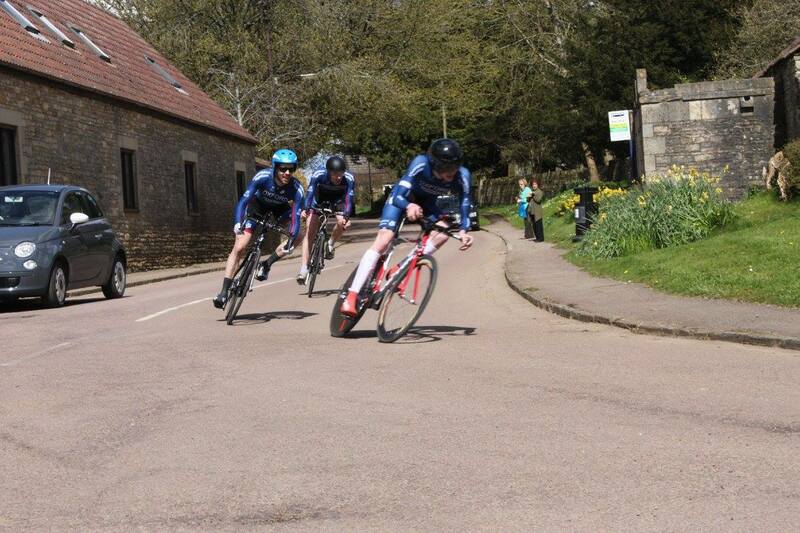 In the meantime the other mens team had a relatively hassle free day, with last minute call up Hamish Tomlinson showing that 3 days in Austria on 4 hours sleep a night isnâ€™t the best prep for these kind of events and putting in an awesome performance to hang on. Bryn Dan and James came in at 51.56, with Isaac Mundy, Angus Fisk, and Hamish a few seconds back at 52.07, enough for 9th and 10th overall (provisional). 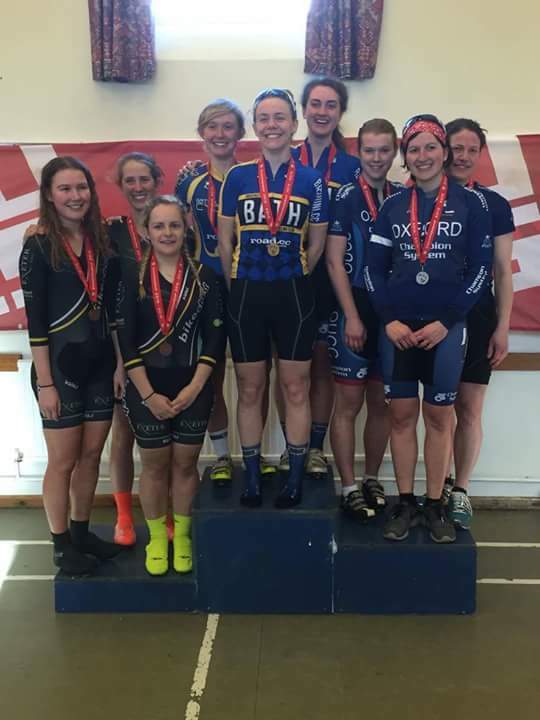 The womenâ€™s team headed off later in the afternoon and almost pulled off a repeat of last years stellar performance, coming in with almost exactly the same time, but the Bath Uni girls showed some great form on the day to come away with the win, and Oxford in the Silver medal position. 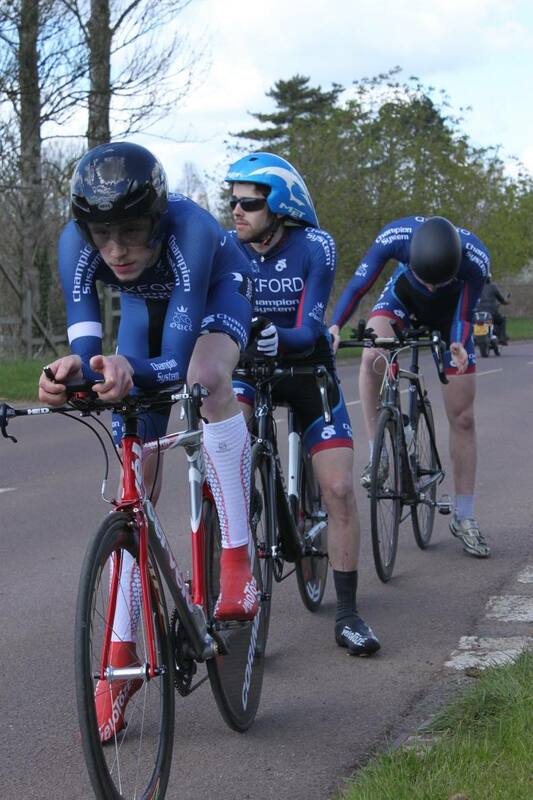 Dan, Bryn, and James head off from the startline. While most of us were in and around Oxford and the UK, Noah Harding was getting some secret training done in Tenerife, rumours had it he had some training from some special sources, who left him a souvenir as they flew past up Mt Teide. Watch this man in the next few weeks! 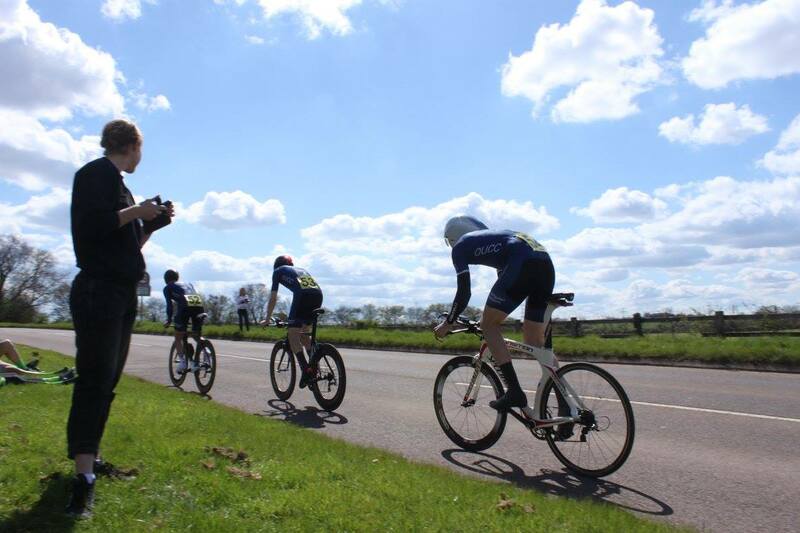 Itâ€™s BUCS 25m TT champs this Saturday, which is our Varsity match against Cambridge. Combined time from the top 3 riders from each team decides the match. Weâ€™ve had a few years in the wilderness but have got a sharp road squad ready to line up on Saturday and challenge the Tabs! Good luck and good riding to everyone out on the road this week! 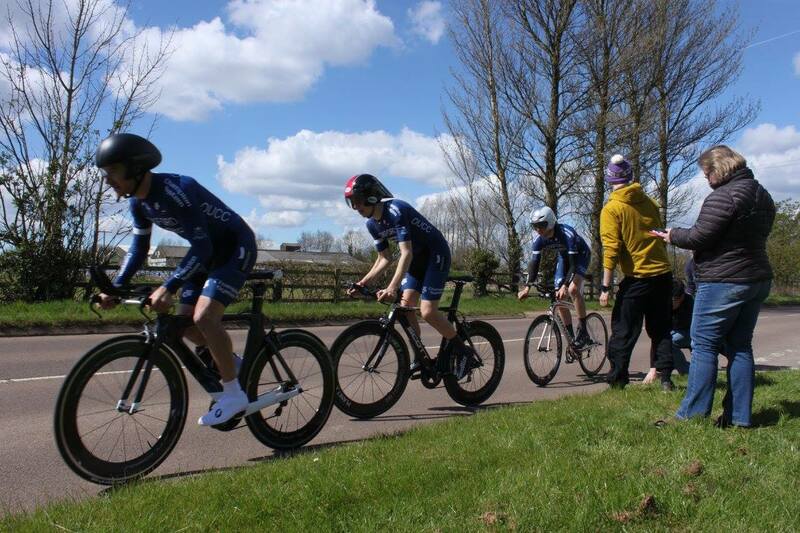 A selection of pictures from BUCS TTT on Sunday. Angus, Isaac and Hamish getting into the zone. Dan “have I dropped them already” Alanine. 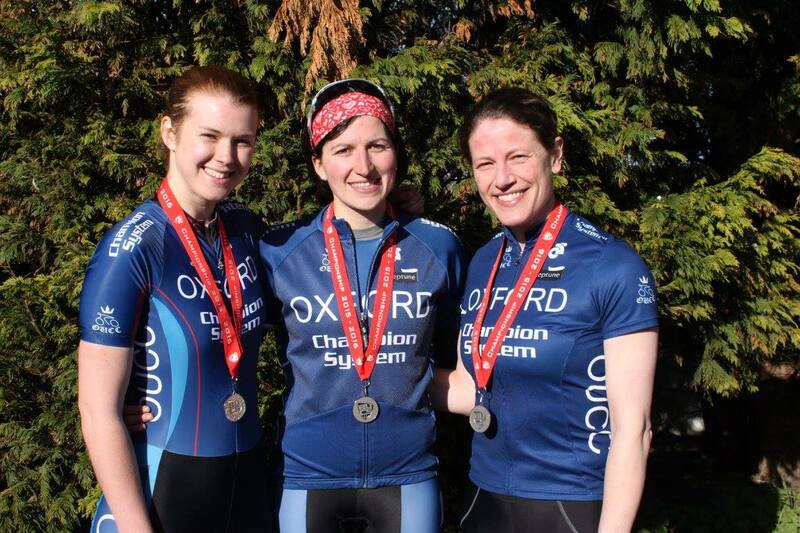 Women’s team ready to head off.